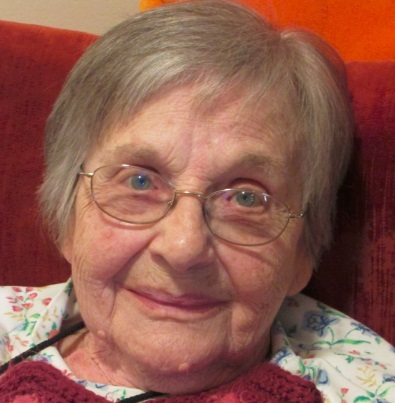 Arlene M. Jones, 97, passed away on July 14, 2018. She is survived by two children: Ray and Sandee Jones of Shell Knob, Mo., and Beth and Larry Heslop of Kansas City, Mo. She leaves five devoted grandchildren, ten great-grandchildren and five great-great-grandchildren. Arlene was multi-talented and active all her life. During WWII, she worked at the military Quartermaster Depot on Independence Ave. She was a scout den mother and on a bowling league. She doted on all her dogs. She was an artist, creating beautiful ceramics and paintings. She was a master at knitting and crocheting and leaves behind cherished paintings and heirlooms. She is preceded in death by her husband, Pete Jones, in 2001. Originally from Leavenworth, they moved to the Northeast part of Kansas City where they raised their family. She was one-half of Pete Jones Upholstery team on St. John Ave until their retirement. She loved her family and is dearly missed. Celebration moments 1-2PM with service at 2PM, Saturday, July 21 at Park Lawn, 8251 Hillcrest Rd. ; burial in Green Lawn. Arlene was a lovely treasure...she will be missed by all those that had the pleasure of knowing her. We are so sorry for your loss. Loved her always. I have many very old memories. Live to all the family.